My favorite eyeshadow palette of the moment would have to be the Carli Bybel 14 Color Eyeshadow and Highlighter Palette by BH Cosmetics. I purchased this palette when it came out in September of 2015. Lately, I've been picking it up a lot when doing my makeup. Since Spring is coming, I've been using some of the lighter and warmer tones in this palette, a lot. The shades in this palette are beautiful and very pigmented. There are some beautiful browns and mauves, along with lovely gold and warm shades as well. 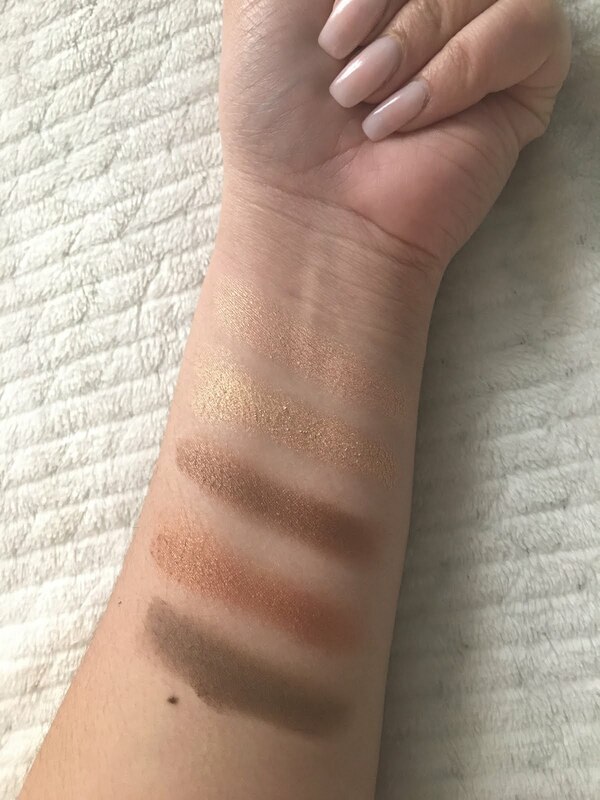 The four highlighters that are in the palette are to die for.. literally. Sometimes, I like mixing the different shade to create the perfect highlight for the day. If you'd like to buy it, you can purchase it at the BH Cosmetics' website here. These pictures are of the two rows of eyeshadows in the palette. As you can see, they are very pretty and highly pigmented. All of these swatches were made with just one swipe on my arm. A few things to note about this palette is that it has a great assortment of both matte and shimmer shades and also a perfect neutral shade which is the first one shown on the left. 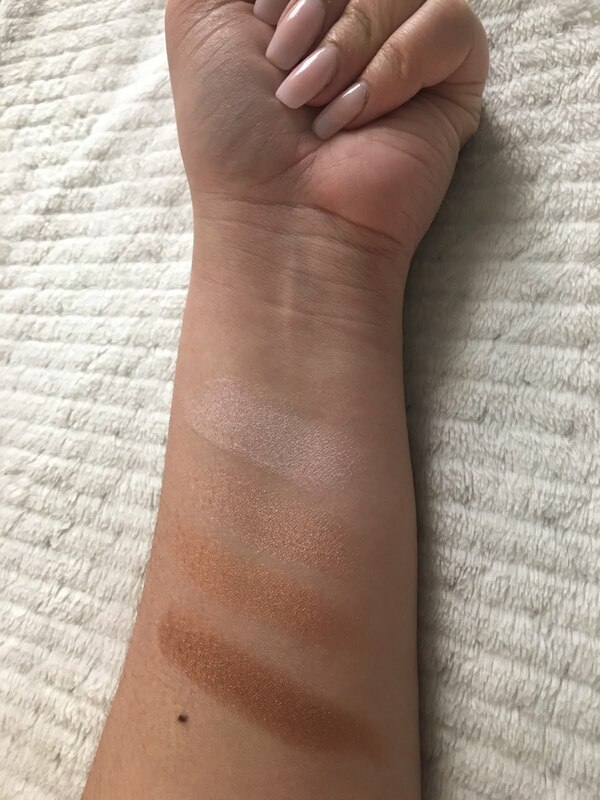 There are two brown shades which I am obsessed with and also, there are three mauvy shades that are perfect for nighttime looks. I love applying the two gold shades all over my lids, which is perfect for the Spring and Summer months. Overall, you can create so many different looks with these eyeshadows, which is something that I always look for in an eyeshadow palette. This picture is of the four highlighters in the palette. This is the main reason why I bought this palette. I am obsessed with buying different highlighters and to have them conveniently placed in an eyeshadow palette is just genius. These four highlighters are perfect for all skin tones. The middle shades are my favorites for my skin tone. I usually use the pink highlight for the inner corner of my eyes, which is stunning. The darkest, copper-toned highlighter is perfect for those with a medium to deep skin tone. 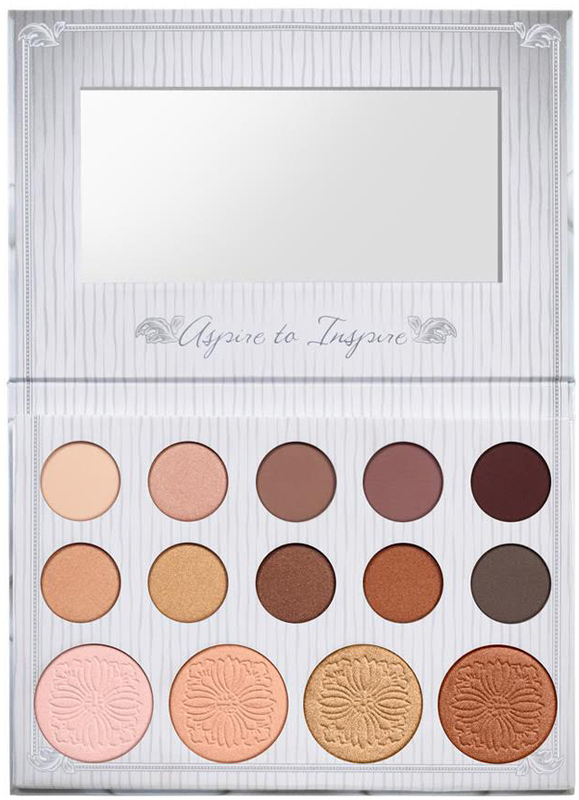 Do any of you have the Carli Bybel Palette? If so, what do you guys think? Yup I have it and I LOVE this palette! Definitely one that everyone should have in their collection. And its SO affordable! Great post! Yes they should. It's so gorgeous. Thank you! This palette is amazing, I see it everywhere! 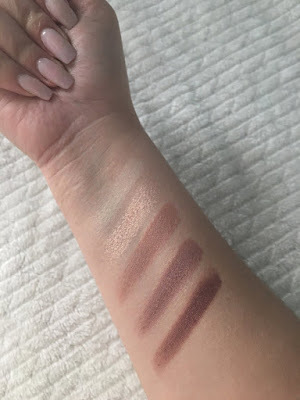 The swatches are really gorgeous and I love the fact that it is so affordable! I've heard only good things about this palette!